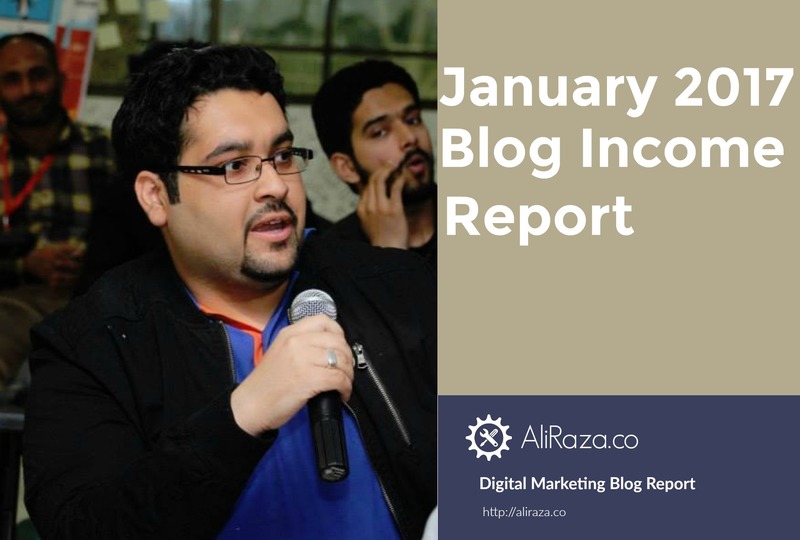 Welcome to the January 2017 Monthly Income Report for AliRaza.co. This is the 16th Monthly Progress Report of this Blog. The purpose of Monthly report is to review the amount of work I do every month, along with website, social media and subscribers statistics. In other words, I critique the performance of myself and my blog every month to see where i’m standing. 5.1 Comparison with the Month of December 2016. 11.1 Plans for February 2017. This month, I have worked out with the blog by working on a completely new theme. I know the blog is far from perfection and can never satisfy everyone, but I will be listening to most of the suggestions and will go with those which are mostly selected by the audience. So far the theme is relatively new and I’m still tweaking it, If you have any suggestions, you are more than welcome to write a comment on the new layout of the website. I have also added a new small Digital Marketing Skill Test on the blog. Checkout my recent post on Different Ways To Make Money Online Freewhere i have discussed hundreds of potential ways to start your online money making career. In the Month of January, 2017. The site has addition of 4 new posts. December Monthly Report was the regular monthly report last month, where i discussed the usual strategies, website tweaking, along with traffic, stats and revenue details. I also discussed plans for 2017 and various monetization strategies which I will be using this year. I hope everyone is aware of what i do cover, so do check it, if you haven’t still. One of the finest and best guide to Making Money Online on Fiverr you will ever read. I’m even saying that this guide is something which you cannot RESIST yourself to share. For a quick revision, the guide is of 4000+ words and discusses from Why Fiverr? To Top Niche’s in Fiverr to How to Promote Your Gigs?, all is covered in the article. Do have a look and let me know your thoughts. This month, Talha Wahid have written an awesome guide on How to Stand Out Your Niche Blog From the Competitors? He exactly knows that Standing out from your Competitors and getting Organic traffic is hard but he says if you make a unique blog and make an exclusive strategy, you can still outrank everyone. So do checkout the article for more information on the topic. How to Start Your Blogging Career in 2017? If you haven’t started your blogging career so far then probably it’s the right time to think about starting your blogging career in 2017 because It’s Never too late to step into the world of Blogging. Then Checkout the above post. 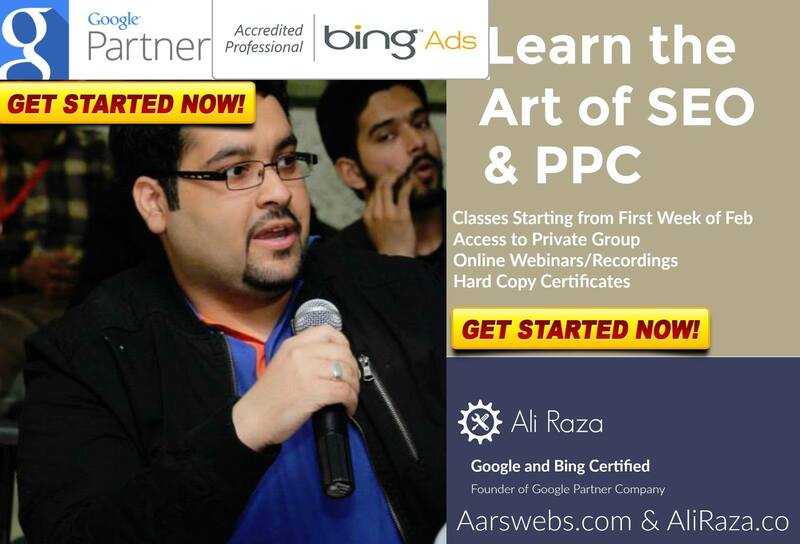 As part of my new year goals and discussed last month with you, I have started the PPC and SEO training. Here are the traffic stats for the Month of January, I received a total of 3426 number of unique visitors, 4448 Sessions and 6988 Page Views. 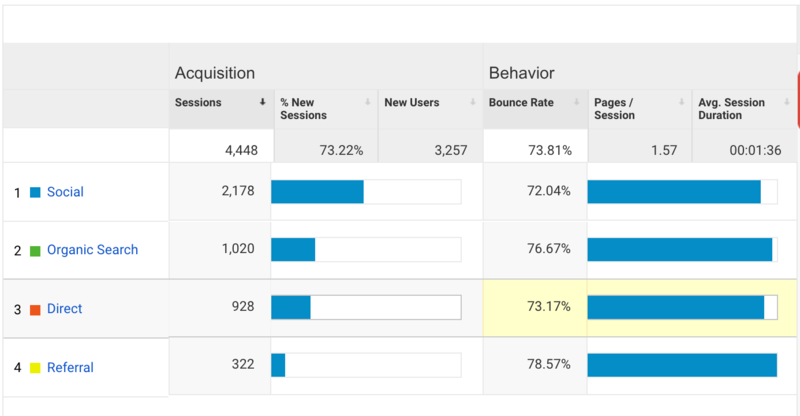 For a quick revision, the number was standing at 2050 Unique Visitors with 2565 Sessions Last Month. Let’s have a look on the traffic sources to get an idea on what are the top traffic acquisition sources for this blog in the month of January,2017. Comparison with the Month of December 2016. 2017 has certainly made a great start and January has seen the HIGHEST traffic ever received on this blog, so this is a welcome news. 73% Traffic is a huge increase in the overall traffic. All Traffic Channels increased in positive numbers specially the Social media and Organic traffic. This is the first time, the blog received more than 1000 unique visitors in a month from organic search, and although in December the organic traffic went down by 7% but see I was optimistic and now you can see the difference. The December Monthly Income Report won the show! I think the monthly report post always get the highest views, why is that so? Anyone would like to comment? The Complete Guide To Making Money on Fiverr got the second number! I mean obviously it should! it’s a 4000+ words guide. Thanks for the audience though for such an appraisal. This old article is still bringing me sales and traffic! How To Fix An Adwords Suspended account? keep it up! Below are the updated stats till 31st January 2017. Google Plus – 342 Followers (Last Month I had 341 Followers) – +1 This Month. Twitter – 511 Followers. (Last Month i had 504 Followers) – +7 This Month. Let’s have a look on the traffic I received from Social Media Traffic, last month in January. Overall, a total of 326 people were added to my networking list, thank you so much for your support and love, I appreciate. Facebook has always been a constant performer and generating top traffic from me, accounting upto 95% of total social media traffic. Vkontakte is going good too. In January, I was being mentioned at five different places. First of all, I was mentioned at Odnevn Blog on the topic of “Mega Roundup : Learn Blogging From 28 Bloggers Around The World“, Thanks Adarsh M for the mention. Then Sathish Arumugam mentioned me on his blog in the round up of “Best Ever New Year Resolutions of 71 Expert Bloggers” It was a massive post, thanks for the mention. Then Adeel Sami Mentioned me at “52 Bloggers Finally Revealed their Successive Blog Posting Schedule”, As always Adeel’s Blog has been exceptional. Then I was Interviewed by More Magazine. I discussed some key tactics on how to become a successful blogger?. You can check the interview here – Thanks Samana for the interview! 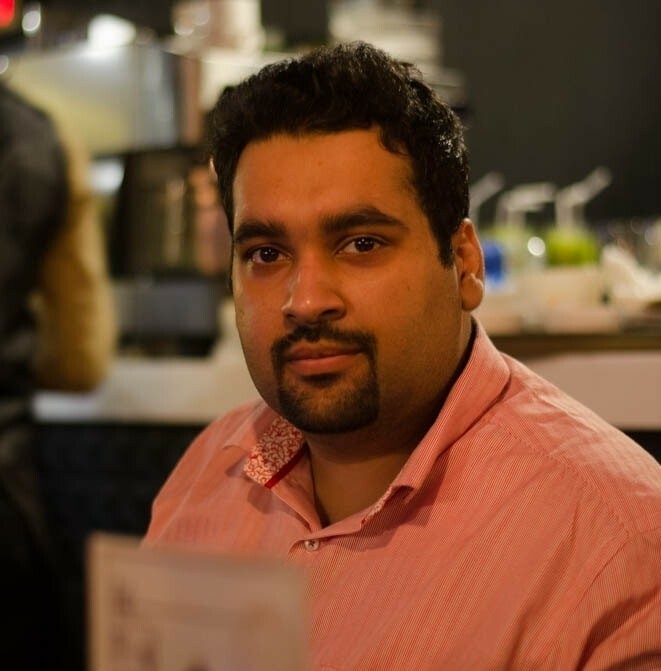 Hussain had an exclusive roundup on his blog for “60 Expert Tips: Kill Google Sandbox & Skyrocket Your Traffic” – Thanks Hussain for the mention, hopefully it was a great learning for your audience. Lastly Adeel again mentioned me in his latest post about “The Great Pakistani Internet Personalities I Met with in Last 13 Months” – It’s truly an amazing feeling for me, Im highly obliged for the gesture, thank you. Question : Hopefully you will be doing good. I need your suggestion regarding Blog Niche Selection. I am confused about interest and market value. Which should i select the one i have interest or the one having market value? Point is i want to earn through blogging not just to share posts. Answer : Thats a very good question and I really appreciate that you have asked the question. For me, the scope is of Passion, Money will come later. Just remember this and start working on the niche in which you have strong interest. Remember your ultimate goal should be to build the audience, once you do that, you will find hundreds of ways to monetize it. As far as building audience is concerned, I always feel that you can only build big audience in the field of your interest or in which you are passionate. So just go with it. This month, consultation revenue went down to $300 and it’s because January is always slow. Please keep in mind that I do have an online advertising agency as well but i keep their earnings separate even if that is of just consultancy. This month, I spent some money on Facebook Advertising however since the advertisement was for my Personal Branding/Promotion of my SEO/PPC training and I don’t mention the revenue’s here so I wont be writing the expense too, I also spent $120 on maintenance and other tweaking of the website, $5 was additional expense on PicMonkey too. P.S. Just for a re-cap, it was $525.96. last month, there is a decrease in the number but it’s okay with me, first of all January always go slow and the same thing happened with my digital agency as well (Aarswebs.com) So I was expecting the revenue’s to be down here too. I also had decreased earnings on my Amazon sites so i can understand that people choose to be more on saving side in the month of January. Goal Checkups are some sort of motivation for me. I keep a check every month to see what I’m doing with my blog. 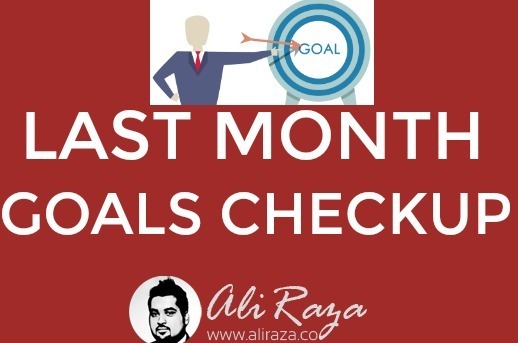 Last month, I had few goals for January, Let’s see how much successful I was on them. Unlike all the previous months, I will be focusing on writing just 3 new articles only.However I will be updating old posts written back in 2015 and 2016 (start), and would like to see how does it impact on traffic specially the organic one. Although February has (28 days), 3 days less than January but still I expect to receive more traffic. In January, I started PPC Training and SEO Training for my readers, last 2 days left (In case if you haven’t signed up yet), but in February I will be focusing on introducing SEO Services and Packages for the blog audience. For the next month, i also have goals to improve the user experience of the website by adding table of content and working more on the landing page optimization. Anyway, How was the blog report for the month of January, 2o17? As always, I’m open to criticism, what are your thoughts on my blogging strategy? Did i miss something? What do you want me to add in my monthly reports article? Every appraisal and criticism is welcome here, please do comment on what you think. The Interesting part you share your upcoming plans. As always, very thoroughly put . Thank you enriching us with this knowledge. Congratulations for your BlueHost kickoff. Your in depth analysis of all the important aspects of your blog is very helpful. Thank you so much for visiting the blog and motivating me, the in-depth analysis should be helpful for newbies and strugglers, so i hope they learn something new from this post. The downfall happens and it may happen because of it’s the part of the business. You know better than us that which part of the year works and which does not because of you’re best at evaluating the data. Thank you! And keep rockin’! Your’s welcome and actually you deserve a mention. I have seen you so motivated in blogging and you are determined for success too. I have best wishes for you and thanks again for the mention. P.S. Even sky is not the limit 😉 You too keep rocking. It’s really inspiring. I think you earn a lot with low traffic because of affiliate programs. If you used adsense the you failed to make more than 100. Thank you, I feel proper monetization is a key and I still feel there is a lot of potential which can be addressed. Thanks for sharing this article. I feel motivated after reading this. Best of luck for your February plans. I’ve gathered many income reports and yours is quite comprehensive. Besides income, you post nice traffic screenshots, you track subscribers, you list mentions and you are pretty open about your achievements and goals. It’s a pleasure to read. That’s why you attract so many visitors with your income reports. You are true inspiration for millions of peoples looking to earn online. As always, Post full with motivaton for me! Thanks for enhancing Ali! Finally I am on the track too. Started focusing on blogs again. This month Started two new Amazon Based Website Blogs. The reason I am commenting here is I was reading your post and read ‘Amazon Sites’. I would recommend you to write in detail about how you are making such sites. Although I am also going to write each and every steps I am going to do to start and rank my amazon sites. Keep it up brother. You rocking. I am here the first time. Great case study and income report. Well reading and checking income reports for bloggers will surely effect newbies to motivate themselves and work hard. I guess you did a wonderful job by sharing your income report. Are you one who is one Facebook Group Bloggers Funda Family? By the way your are awesome! Just get some Real motivation, keep sharing and keep motivating us. Thanks for sharing your income details with us. Waiting for next article.